It's no secret. You guys know I love a great pair of denim. For as long as I can remember, I've always been a Levi's gal. From skinny and straight leg, to distressed or washed out, there are so many styles (and reasons) I keep going back to Levi's. Today I'm sharing a personal favorite, 'The Wedgie' style from eBay. This pair of oversized denim is such a flattering cut that can easily be dressed up or down. Styled with a basic white t-shirt and black pumps give off major 90's vibes, but in a modern & updated way! I've shared my love for eBay before, but in case you're new here, allow me to share 5 tips and tricks for successful eBay shopping! By following this tips, I was able to find these amazing jeans that will quickly become a go-to for me. Filter items to “buy it now” so you don’t have to worry about the bidding process – almost 88% of items are buy it now! Use advanced search to find exactly what you’re looking for – with approximately 1.1 billion items listed, you’ll be sure to find what you need! Choose the location to align with your shopping needs & select free shipping for even more savings! 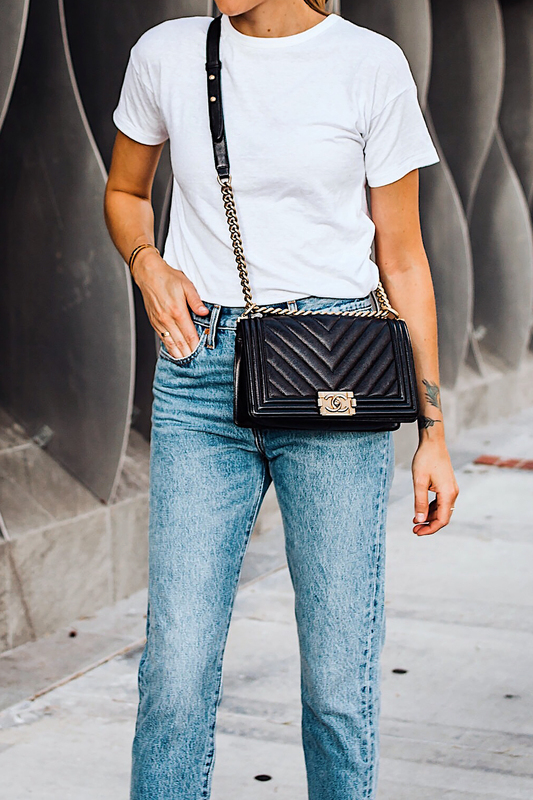 I love finding great denim like this pair, and eBay is definitely a favorite shopping destination for me! So next time you're looking for a new pair, ask yourself, "have I checked eBay?!" A special thank you to eBay for sponsoring this post. All thoughts and opinions are my own.